Your time and reviews are valuable to us! Paul Moak Subaru thanks you for serving you and reviewing us as a dealership. Positive feedback goes a long way and for us to see how much of an impact we are truly making. From new customers to returning Subaru owners, we do everything we can to make sure you're having a positive experience. Click our review logos below to get started with your online review. Click the logo above to post a review on the Paul Moak Subaru Google+ Page. Once you click through to the page, log in with your Google ID. Then, click the pencil icon under the red "Follow" button. Thanks! 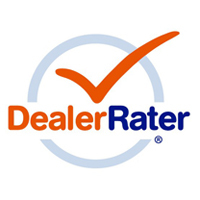 Click the logo above to post a review for Paul Moak Subaru on DealerRater.com. Once you submit your review, you will receive an authentication email. Make sure you confirm the email in order for your review to go live. Thanks!